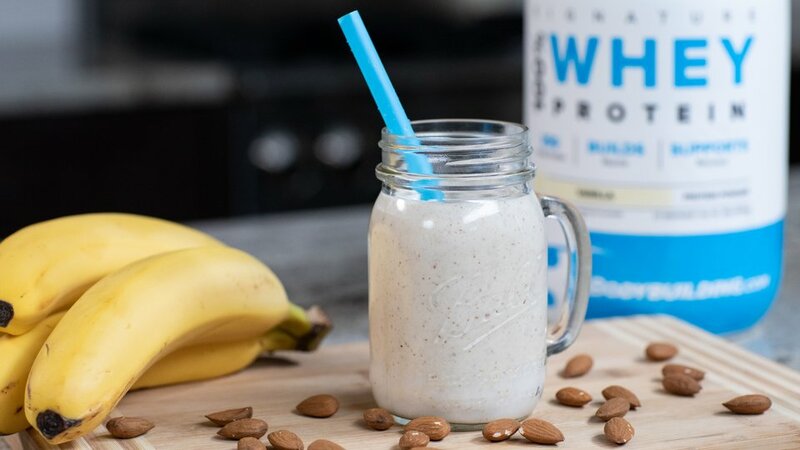 Meet your macros with this creamy and crunchy mix of banana, almonds, and protein powder. Blend ingredients together in a blender until smooth. Pour into a glass and enjoy!